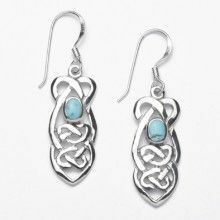 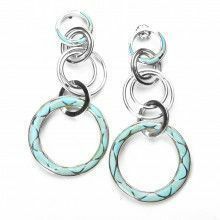 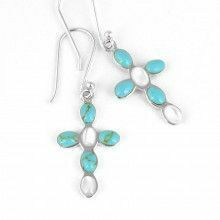 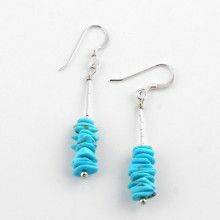 Three blue turquoise nuggets are situated in-between two small silver balls and small silver bars, forming a stunning and lightweight earring. 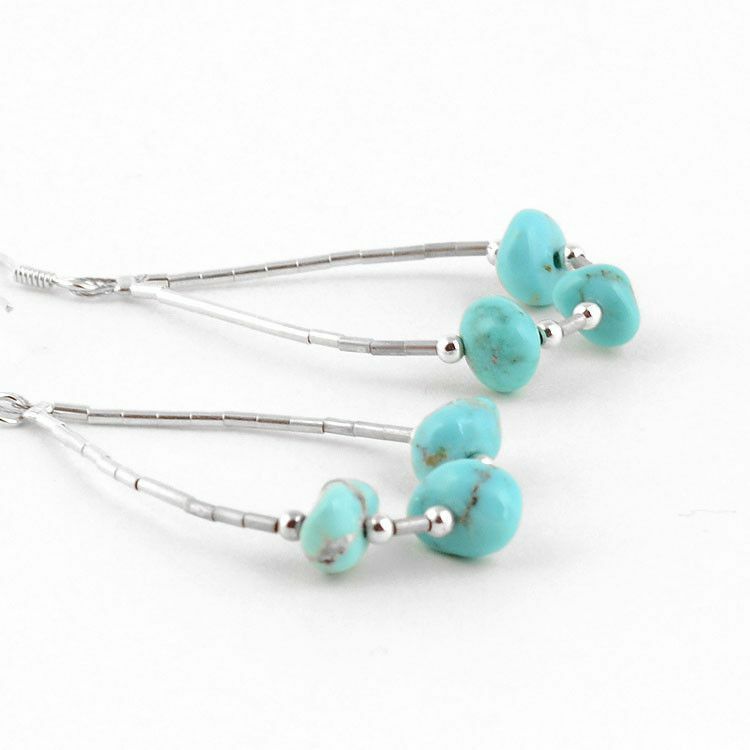 Approximately 2 1/4" long from the top of the simple hooks to the bottom of the middle turquoise stone. 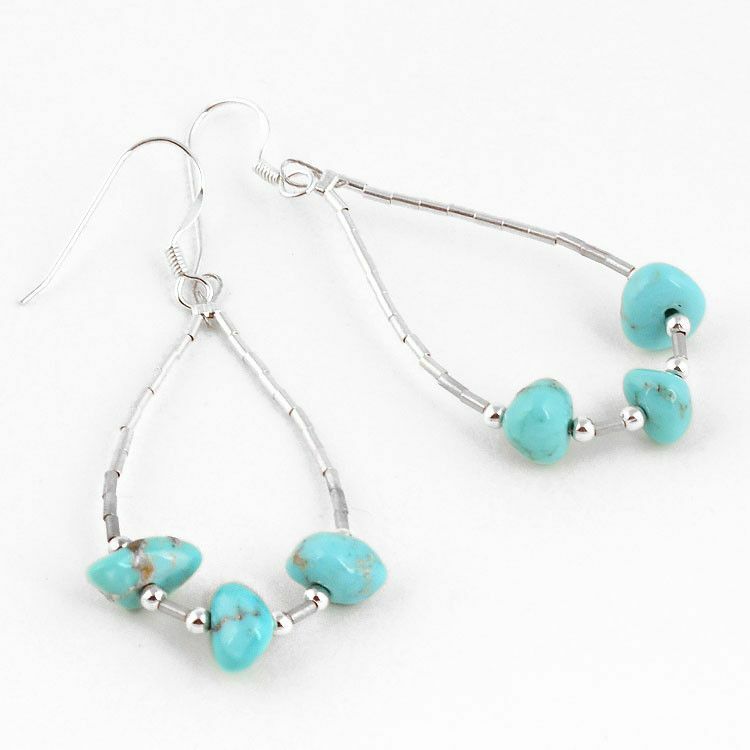 Classic look for everyday wear! 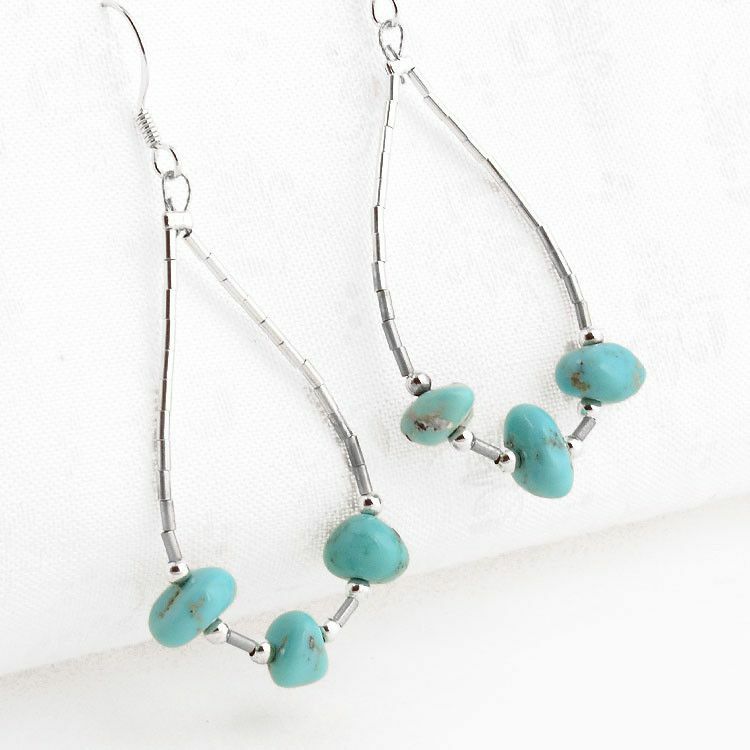 Turquoise nuggets are no larger than 1/4"